As a Wholesale & Distribution or Retailer with Mobile Sales, you are expanding your business and providing a higher level of service and building on our Customer Relationship Management (CRM) by taking your business directly to your customers. You may simply have a sales rep on the road that visits your clientele and takes orders that can be instantly transmitted to your warehouse for picking, packing and shipping. 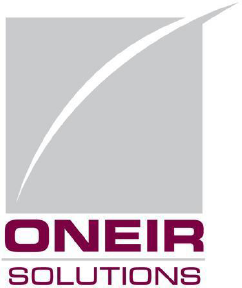 The Oneir Solutions Order Guide ensures that the order process is efficient and complete. To take your service to a higher level, you may have trucks on-the-road that are stocked with products that your customers need. You want to efficiently re-stock the trucks when they return to the warehouse in preparation for the next day’s mobile sales. You want to keep your business clients satisfied by expediting their orders with efficiency and in a timely manner. As a supplier to their bustling retail, manufacturing or service businesses, you want to ensure you are delivering the best quality, service and reliability. HOW CAN ONEIR SOLUTIONS HELP MY MOBILE SALES? You need to have tight control over the mobile trucks inventory, sales and customers to maintain your efficiency and ensure your success in the business to business market. Using the “order guide” ensures all items are ordered and that the process is carried out efficiently! Categorize and sub-categorize your customers by type (for example, retailers: electronic stores, home & building, beauty salons, etc) and control discounts, price breaks and target promotions and campaigns towards a specific group. Generate orders based on the customer’s sales history, track customer balances, control credit limits and “hold” orders for customers with overdue balances. You will have a handle on what stock is not moving and what items need to be in your warehouse at all times. Track items purchased by each customer and the specifications of those items, such as dye lots, color, type, etc. Easily interface with the e-Commerce web store and take EDI orders from your larger customers. Sales reps on-the-road can place orders directly from their customer’s location, e-Mail conformation to the customer and have the pick slip printed in the warehouse for picking packing and shipping. Now that’s customer service. And for “drop-in” customers ordering, they can also be accommodated using Oneir Solutions Multi-Channel features. Take your wholesale distribution business to a whole new level with Enterprise Resource Planning (ERP) that efficiently manages key business functions through one shared information database…while increasing sales with Customer Relationship Management (CRM) that provides a central source of information about customers and prospects., and multiple methods to attract and service them. Sales Order Tracking & Invoicing: Including phone, online and catalogue orders. Inventory Control: Purchase ordering, materials requirement planning, special orders and back orders. Manage sizes/colors, lots. Wireless Handheld Terminals: Easily control shipping and receiving in the warehouse. Special Pricing & Discounting: Set up special pricing for sales with start/end dates, clearances and types of customers and/or individual customers. Customer & Sales Analysis: Analyze trends and demographics. Business Analysis: Analyze the performance of the company, each location, employees, products and product lines. Order Guide: See a listing of all products ordered over the recent period, allowing you to verify that the customer is ordering all required items for their business. Customer Receivables: e-Mail or print statements with opening and closing balances. Charge interest for late payments, track contacts made for collection and put delinquent customers “on-hold”. Multi-Location Capabilities: All locations on-line all the time, including ordering from sales reps on-the-road, tradeshows, conventions, on-the-road service trucks, mobile stores, amongst other locations…no matter where or how many. Web, Phone and Mail Orders: Receive orders by phone, e-Commerce web store integration, EDI orders or catalog for deliver to specific addresses. Commissions: Set up commissions for individual employees based on margin and sales with bonuses for first time customer orders. Repeat Billing: Manage long-term rentals and ongoing contracts. Even “take back” leases. Bank Card Processing: Process debit/credit card payments with CPI Compliance. Take deposits, pay for invoices and pay outstanding receivables using one-time payments or “tokens” for payments on subsequent purchases. Over 90 percent of Generation Y will head to the internet first when looking for certain products or services, and 50 percent of them will be buying something online.